What an incredible night of impact at PCA-Los Angeles’ 3rd Annual Positive Impact Awards Benefit, April 13th at Dignity Health Sports Park. PCA-Los Angeles’ Positive Sports Parent Series with Kerri Walsh-Jennings and Casey Jennings was a discussion about the state of youth sports today. The historic LA84 Foundation was the perfect setting for recognizing accomplishments on and off the field. Our 2nd Annual Positive Impact Awards inspired Olympic level cheers. I’m Micah Croom. A student-athlete at Dartmouth who is currently interning with a fellow teammate, Rashaad Cooper, at Positive Coaching Alliance-Los Angeles. My name is Rashaad Cooper, I’m a Junior at Dartmouth College and a member of the football team. Myy teammate and I are gaining valuable experience as interns here at PCA-LA. The event will be honoring Ten (10) Triple-Impact Competitor® student-athletes eligible for college scholarships. The Los Angeles Dodgers Foundation and Positive Coaching Alliance-Los Angeles launched the Dodgers RBI (Reviving Baseball in Inner cities) Coach of the Year Award this season. ABC7 Health Specialist Denise Dador interviewed PCA-LA Executive Director Alan Berkes and Children’s Hospital – LA Sports Medicine Physician and PCA-LA Board Member Bianca Edison. PCA-Los Angeles, partners the LA Galaxy and Children Hospital-Los Angeles, hosted a dynamic panel discussion Saturday about the health and well being of youth athletes. Team chemistry can be seen in the victory lap the Manhattan Beach 9-10 year old All-Star team took sprinting around the bases after winning the District 36 Championship last night. PCA-LA continues to provide Double-Goal Coach Workshops for Dodger’s RBI (Reviving Baseball in the Inner Cities) coaches. The Snoop Youth Football League was found by entertainment icon Snoop Dogg in the Fall of 2005 with 1,300 kids playing. For PCA’s Triple-Impact Competitor Scholarship Winners the Dodgers not only hosted the event to raise the money but provided a check presentation on-field pre-game on May 25th. While girls’ participation in sports is growing, the number of women in coaching is steadily declining, such that it’s common now for a girl to never be coached by a woman. Bob Johnson, Mission Viejo High School Football Coach, Wins Positive Coaching Alliance’s Double-Goal Coach® Award Presented by TeamSnap. Most recently, LCHS hosted a workshop for students in their gymnasium. There were over 600 student-athletes in attendance to listen and participate in a workshop led by Ray Lokar. Jim Thompson and Advisory Board Member Julie Foudy join the Mayor of Los Angeles and many sports dignitaries to discuss and educate over 350 people about issues in Youth Sports. The PCA Double-Goal Coach® Workshop for 150 of LA’s Best basketball coaches, supported by the LA84 Foundation, got a taste of “show time”. When you look at sports through the lens of teaching life lessons, you realize the benefits go far beyond the field of play. The CIF Los Angeles City Section, the LA84 Foundation and PCA-Los Angeles (PCA-LA) are partnering to provide training for Section administrators and coaches for the next two years. LA Dodgers Foundation supports PCA-Los Angeles by hosting PCA Workshops for Dodgers RBI, a scholarship check presentation on-field and inaugural Positive Impact Awards! PCA-Los Angeles named “Official Training Partner” of LA84 Foundation. 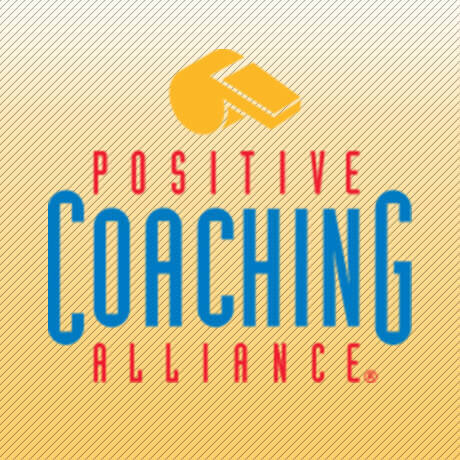 PCA-Los Angeles conducting 40 Double-Goal Coach® Workshops for LA84 grantees. The 30-second public service announcement is the first of multiple spots FOX Sports will produce and air across its national and regional networks. PCA-Los Angeles and Lakers' "Final High-Five" campaign a huge success! Palmdale native gets the last high-five of Kobe Bryant’s storied career. Board Member Bruce Horowitz wins city of Beverly Hills "Step Up and Make a Difference" award. Our longest standing PCA partner, Beverly Hills Basketball League continues their tradition of educating and engaging their coaches and parents. See what they’ve been up to. Santa Barbara Athletic Round Table (SBART) is the epitome of a Community partner by providing character building PCA Workshops for local schools and youth sports organizations. Wildcats Hockey Club exemplifies the PCA partnership by not only talking the talk, but also walking the walk. Meet them here! Meet featured partner FC Man United, a competitive southern California soccer club on their second year of their PCA Partnership. PCA-LA Board Member Marcellus Wiley invited fellow Board Members to view his ESPN show SportsNation before hosting the second LA Board meeting at ESPN Radio. PCA does back-to-back Workshops for the LA Sparks and LA’s Best. Among PCA-Los Angeles’ first activities was kick-off of a partnership with Major League Soccer’s Los Angeles Galaxy.